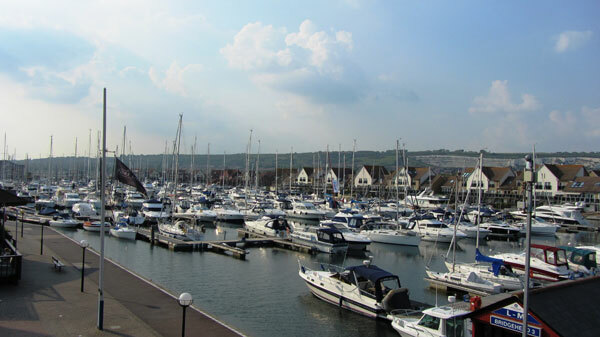 Premier Marinas will be hosting a New and Used Boat Show at Port Solent Marina on Saturday 11th July and Sunday 12th July from 1000 to 1600. This year’s show will be the first of its kind for several years and will feature a selection of new and used boats and marine products for the serious boater, along with a collection of luxury motorcars. Onsite broker, Ancasta International Boat Sales will exhibit a range of models from its Beneteau, Lagoon and Prestige collections and Clipper Marine will also have a range of new and used Bavaria yachts on display. On-site chandlery, Marine Super Store will be exhibiting Garmin, Raymarine and Navico roadshow trailers, offering demonstrations and expert advice. Other Premier tenants will be displaying a selection of boats ashore and in the water, including luxury motor yacht brands Fairline, Sunseeker and Princess. Local boat dealer Sea Ventures will have three boats on display from its Jeanneau range and Golden Arrow will also be there showcasing family sports boat, the AMT 185BR, a Honwave T24 RIB and a collection of Torqeedo electric outboards. The RNLI will be at the event to run a free life-jacket safety clinic and to provide visitors with information and advice on boat safety and equipment that is required at sea. Other attractions include a collective line-up of prestige and luxury car brands, including Maserati and Porsche, which will complement the yachts, motorboats and RIBS on display. Admission to the show is free with plenty of parking available. The weekend prior to this, on Saturday 4 July, Chichester Marina will be hosting a nautical summer fete to raise money for charity. The fete will run from 1200 till 1800 and will include a selection of live acoustic music acts to entertain visitors throughout the day, along with a bouncy castle, face painting, ice cream and sweets for all the family. Among the event contributors will be the RNLI who will run a ‘lifejacket clinic’ over the course of the day. Visitors are invited to bring their lifejackets along to have them fully checked. The RNLI will also offer advice on board your boat and will include checking all the boat’s safety equipment free of charge. Businesses in the boatyard will also throw open their doors and showcase a great mix of marine products and services, including the following organisations: Chichester Yacht Club, Marlin Environmental Services and Classic Yachts Chichester Limited. Doug Griffith Yacht Services and RYA approved training centre Chichester Sea School will be on hand to discuss sail, powerboat, first aid and navigation training qualifications relevant to the commercial and leisure skipper and will operate an advice and help centre for all training matters and RYA courses on a floating RIB at the water’s edge.